Our Roofers website is designed to explain your choices of products and services available for your roofing or home remodeling project and also to provide you information on one of the best roofers in Montgomery, Delaware, Chester and Bucks County. Please review the various areas to help you make an informed decision and to build confidence that we are the right Roofing Contractors for your roofing project whether you live in Bridgeport, Conshohocken, Flourtown, Phoenixville, Royersford, Havertown, or Malvern. 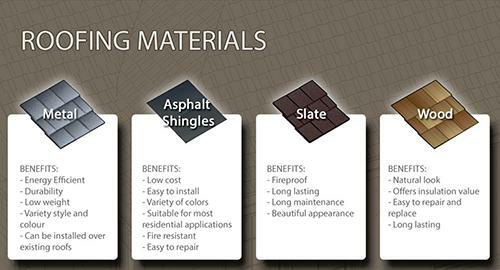 We'll make sure your home makes a striking impression, adding the greatest curb appeal in your neighborhood and this is the reason we are the most preferred roofers in Montgomery (towns like Flourtown, Ambler, Horsham, Hatboro, or Willow Grove), Bucks, Delaware (towns such as Broomall, Springfield, Havertown and Newtown Square) and Chester County (if you live in West Chester ), PA. Attention to detail, quality products and quality craftsmanship is key. 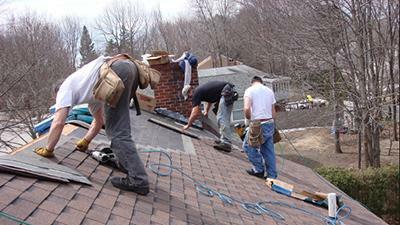 What makes us the leading roofing contractors in Norristown or Ambler? Anyone has the ability to drive a nail through a shingle, but if that was all there was to proper shingle installation, we would not be replacing roofs installed by others that are failing only a couple of years later! Choosing the right Roofing Contractors in Flourtown, Lafayette Hill, Blue Bell, Broomall or Horsham to install your roof is just as important as selecting quality materials. With so many products available, we'll help you make "Your Best and Safest Choice." We are a "full service" Roofers Company in Springfield, Delaware County and do work in West Chester, Hatboro, Newtown Square, Phoenixville, Horsham, Flourtown, Norristown, Bryn Mawr, Blue Bell, Lafayette Hill, North Wales, Royersford, Malvern, Wayne, and Willow Grove just to name a few. We will handle everything from a new roof installation, restoration and maintenance to re-roofs and repairs and everything with the assurance that can solely come with years of experience. We are "full service" Roofers Company and we will handle everything from a new roof installation, restoration, and maintenance to re-roofs and repairs. All with the assurance that can solely come with years of experience. Quality craftsmanship and design are key - and we go beyond the basics with innovative maintenance programs, extended warranties and great customer service, ensuring our customers' satisfaction and their roof's long-term performance.